While living in Philadelphia, I visited its many parks frequented by drug users, collecting the bags that delivered their fix which they left behind; gathering in piles around benches and gazebos where asphalt meets grass. 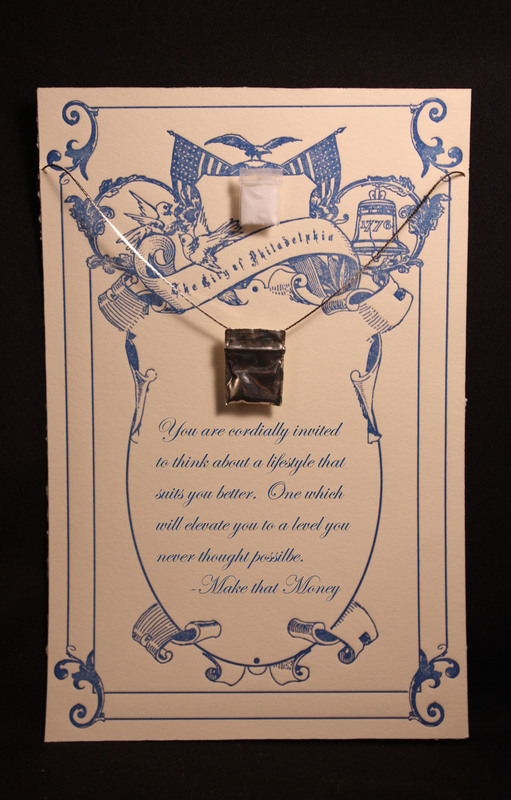 Although these bags are the derelict waste of the city’s addicted and forlorn, I take the bi-products of such individuals’ criminal lifestyles and make them into valuable objects by casting them in pure silver and transforming them into jewelry. As commodities, they draw into question the ways in which American culture fetishizes its wastefulness and consumerism. As jewelry, the bags content’s can only be imagined, transcending social contexts and value systems, making them attractive and ambiguous. 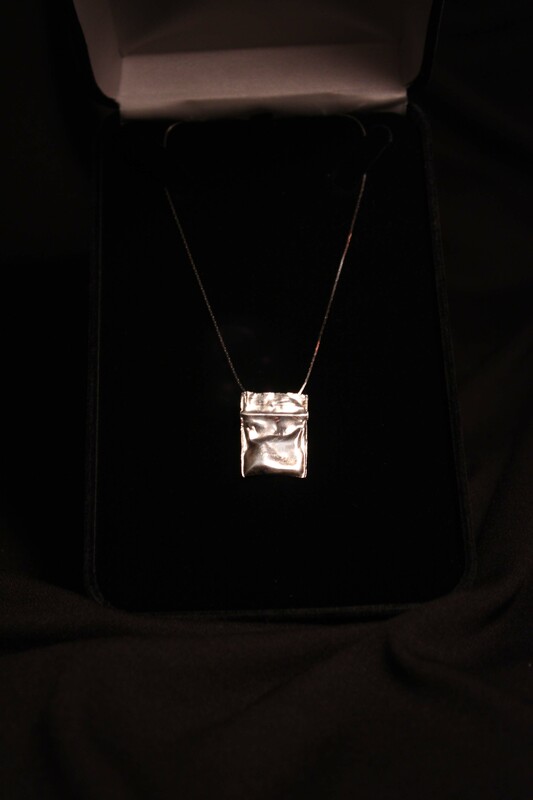 Each piece of jewelry is unique; directly casted from a different bag, giving each piece a different form and shine. People interested in purchasing this wearable-art should contact the artist directly via the information given on the biography page. 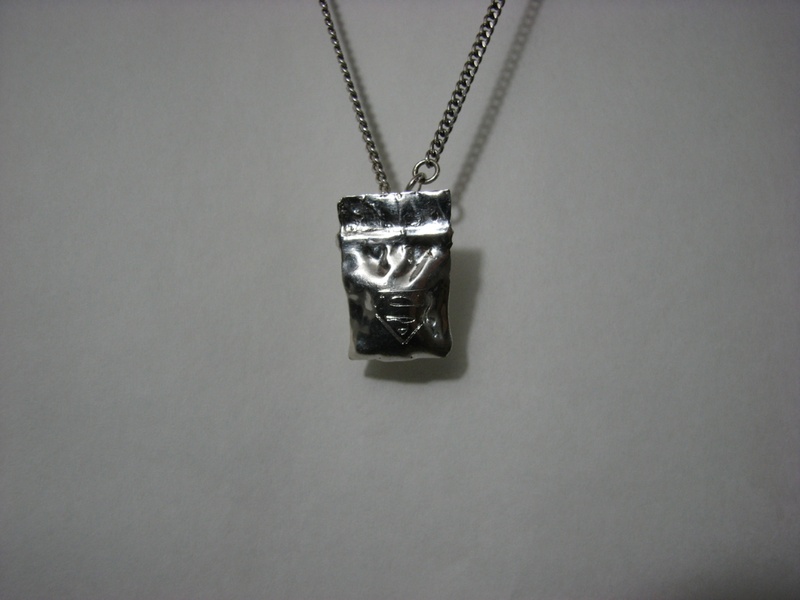 Custom designs are available for commission, as well as bags cast in different metals. 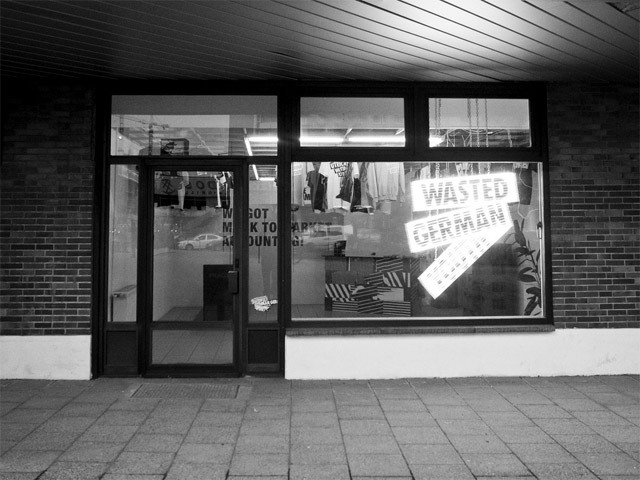 Currently, you can buy silver editions at Ladybird’s General Store in Portland, Oregon and Wasted German Youth in Berlin, Germany. Also, now on Etsy! !